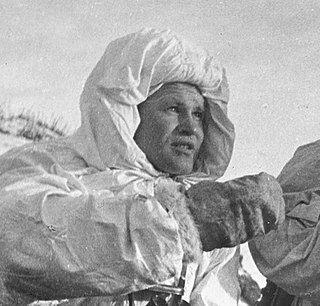 Vasily Grigoryevich Zaytsev was a Soviet sniper and a Hero of the Soviet Union during World War II. Prior to 10 November 1942, he killed 32 Axis soldiers with a standard-issue rifle. Between 10 November 1942 and 17 December 1942, during the Battle of Stalingrad, he killed 225 enemy soldiers, including 11 snipers. James M. "Jim" McPherson is an American Civil War historian, and is the George Henry Davis '86 Professor Emeritus of United States History at Princeton University. He received the 1989 Pulitzer Prize for Battle Cry of Freedom: The Civil War Era. McPherson was the president of the American Historical Association in 2003, and is a member of the editorial board of Encyclopædia Britannica. Vasily Ivanovich Chuikov was a Soviet military officer. He was the commander of the 62nd Army during the Battle of Stalingrad. 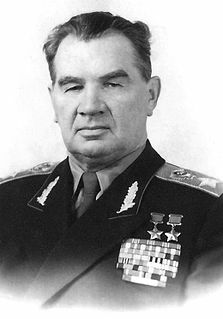 Following World War II, Chuikov was Chief of the Group of Soviet Forces in Germany (1949–53), commander of the Kiev Military District (1953–60), Chief of the Soviet Armed Forces and Deputy Minister of Defense (1960–64), and head of the Soviet Civil Defense Forces (1961–72). Nikolay Nikolayevich Voronov was a Soviet military leader, chief marshal of the artillery (1944), and Hero of the Soviet Union. He was commander of artillery forces of the Red Army from 1941 until 1950. 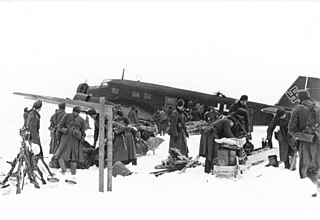 Voronov commanded the Soviet artillery during the Battle of Stalingrad and was the Stavka representative to various fronts during the Siege of Leningrad and the Battle of Kursk. He also fought in the Russian Civil War, the Polish-Soviet War and the Battle of Khalkin Gol, as well as serving as an advisor to the Spanish Republican Army during the Spanish Civil War. Bruno Bräuer was a general in the paratroop forces of Nazi Germany during World War II. He served as a commander on Crete and then commanded the 9th Paratroop Division. After the war, Bräuer was convicted of war crimes and executed, along with Friedrich-Wilhelm Müller, on the anniversary of the German invasion of Crete. The Pritzker Literature Award for Lifetime Achievement in Military Writing is a literary award given annually by the Pritzker Military Museum & Library. First awarded in 2007, it is a lifetime achievement award for military writing, sponsored by the Tawani Foundation of Chicago. The prize is valued at $100,000, making it one of the richest literary prizes in the world. 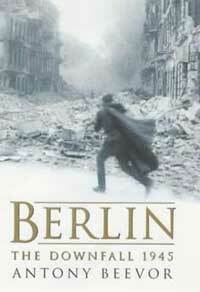 The Second World War is a narrative history of World War II by British historian Antony Beevor. The book starts with the Japanese invasion of Manchuria in 1931, and covers the entire Second World War ending with the final surrender of Axis forces.